Is this another “nothing-to-do-with-Islam” event? 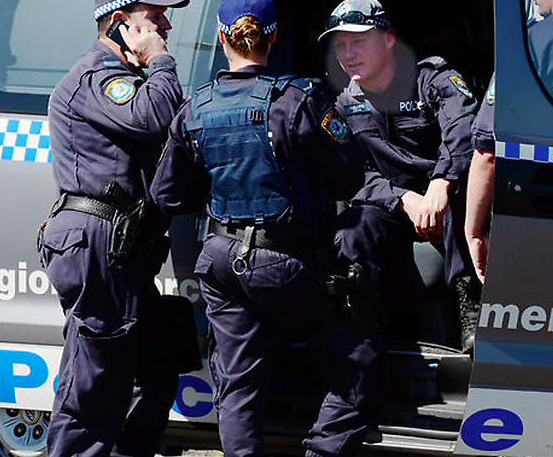 Counter-terrorism police are conducting raids in a Brisbane suburb. Counter-terrorism police are searching a Queensland home, after a man was reportedly arrested on suspicion of terror-related offences early Saturday morning. An AFP spokesman confirmed an “operational activity” was underway in the Brisbane suburb of Kuraby. “There is no risk to the community,” the spokesman said. Australian Federal Police officers have raided a property at Kuraby in Brisbane’s south in what is reportedly a counter-terrorism operation. Police entered a house in a pre-dawn strike and have taken a man aged in his 20s into custody where he is being questioned about terror-related offences. Police say the operation is continuing. Australia’s Treasonous elected and appointed “authorities” are guilty (by association intent or neglect) of every crime that the islams and the criminal African tribals commit in Australia ! there would have to be no islam criminal ideology muhammadans or criminal African tribals immigrating into Australia or permanently residing in Australia !!! • no illegal islam criminal ideology mosques ! • no illegal islam criminal ideology halal certification ! so being an Australian “authority” and by continuing importing islam and criminal African tribals into Australia and by allowing permanent residence of islams and criminal African tribals in Australia you are guilty of Treason/Sedition/Subversion against Australia ! irrespective of whether or not you are a socialist islamophile !! !